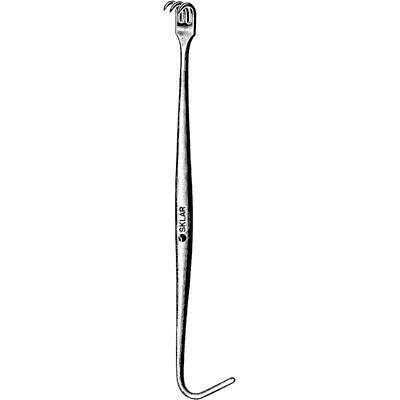 The prongs are used to puncture the trachea and pull it upwards. 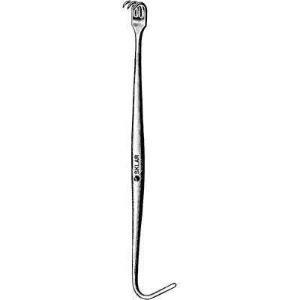 This product has a straight shaft with one smooth hook end to be held and one hook end with three prongs to be used as the retractor. Ordering information: Censitrac instruments are custom barcoded to reflect the facility. This is unique customization. The initial order for the facility can take 14 to 30 days, subsequent orders can take less time. Caution: Customers must have a Censitrac Site ID to purchase Censitrac instruments.